This Valentino necklace makes the perfect birthday gift for the charming, logical, intelligent Virgo. Matte golden brass zodiac necklace by Valentino. 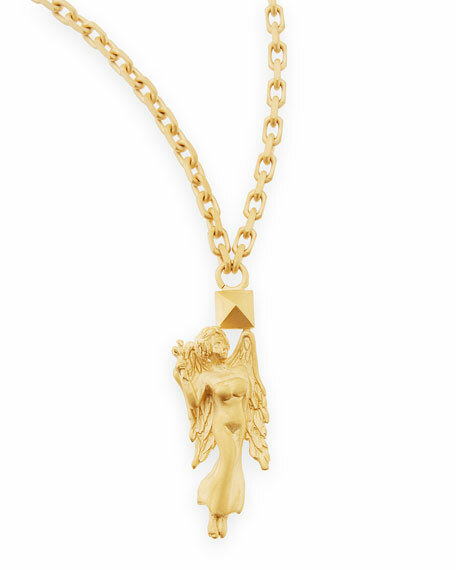 Virgo pendant for those born from August 23 to September 22. Cable chain necklace, approx. 36"L.